From the Stacks is the main exhibition at the National Library which takes up most of the 10th floor. 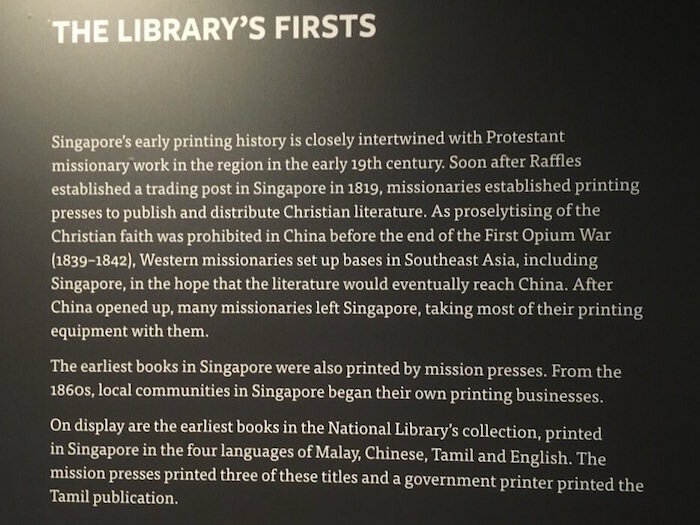 It includes more than 100 highlights from the National Library’s collection of rare publications, manuscripts, documents, maps, photographs. I really liked the curation of this exhibition, it was spread out to give enough breathing space for each section. I really hope the upcoming Sheikh Mohammed Bin Rashid Library in Dubai will include a collection that's inclusive and (half) as good as this. Here are some photos I took, they don't do justice to the exhibition. If you live in Singapore or plan to visit before 28th August 2016, make sure you don't miss this.